Malay language Bibles still under lock and key, because the government wants to limit to Muslims the use of the word "Allah" for God. A ruling rejects their decision, but in Kuala Lumpur pushes ahead with a policy of progressive restriction of religious freedom. 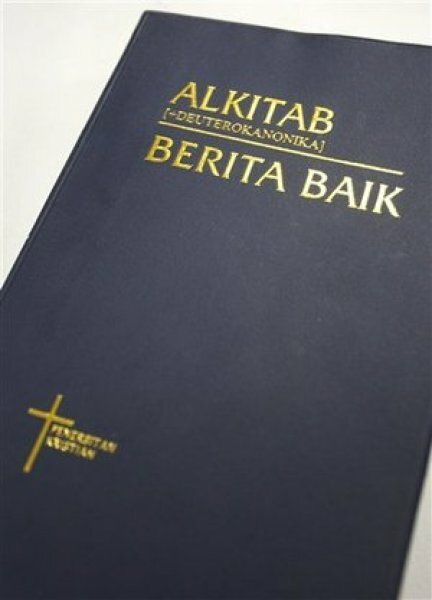 Kuala Lumpur (AsiaNews / Agencies) - The Christian Federation of Malaysia has rejected the Government's proposal to release 35 thousand Bibles with “For Christianity” printed on the cover. The books, written in Malay, have been under lock and key since 2009 in the port where they arrived. The government had earlier decided to release them, but wanted to stamp a serial number and the slogan "Only Christians” on the cover. The controversy stems from a government decision to ban the use of the word "Allah" to refer to God by non-Muslims. The judiciary has decided against the government on this point, but a sate for the appeal hearing has yet to be fixed. The Malaysian Christians argue that there should be no "restrictions, prohibitions and proscriptions" in the use of the sacred books. The government wants to impose an inscription on the Bible, printed in Indonesia, to reduce the risk of Muslims converting. The Bible Society of Malaysia, which imports and distributes Bibles, took charge of a shipment of five thousand Bibles "defaced" by the government writing on March 28. The general secretary of the company, Simon Wong, said that they "can not be sold to Christian buyers" in their current state. "Instead they will be respectfully kept as museum pieces, a witness of the Christian Churches in Malaysia." The president of the Christian Federation of Malaysia, Bishop Ng Moon Hing, said that "there is a systematic and progressive reduction of public space to practice, profess and express our faith. The freedom to wear and display crosses and other religious symbols, to use religious terms and to build places of worship has been progressively restricted. "